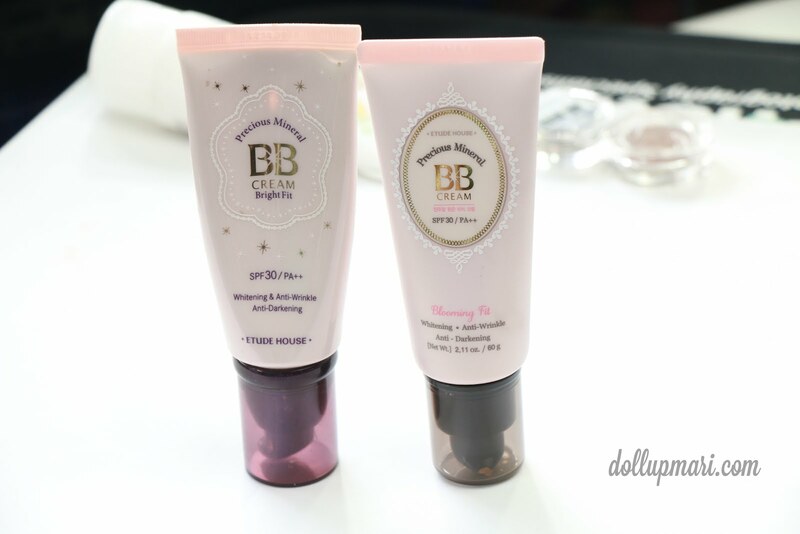 Etude House came up with a new BB cream which is their Blooming Fit BB Cream. 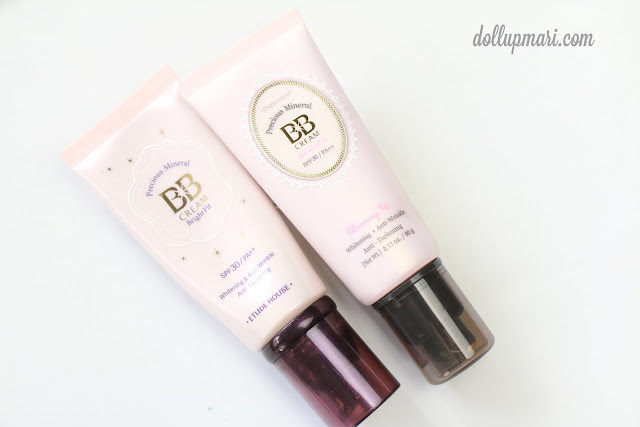 When they sent me a tube to try it, I thought that before I make a formal review of the new BB cream here on my blog, I think it'd be nicer to start off by comparing it to its predecessor, the Bright Fit BB cream. But if you look up close, you'd see that Blooming Fit is marginally more yellow in tone compared to Bright Fit. 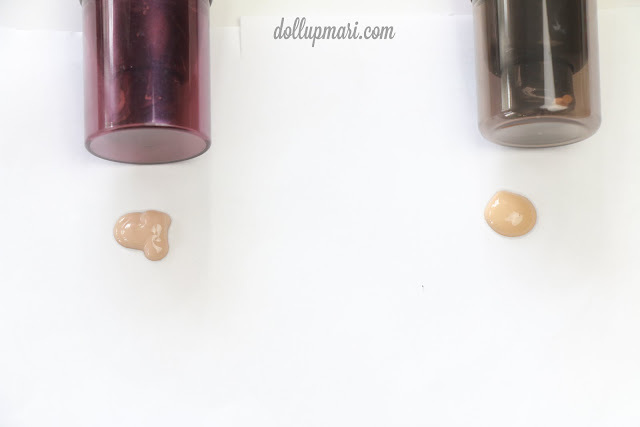 In real life, though, as I've said in the video, Bright Fit comes with a pinkish grey undertone. The one on the left half is Bright Fit and the one on the right half is Blooming Fit. 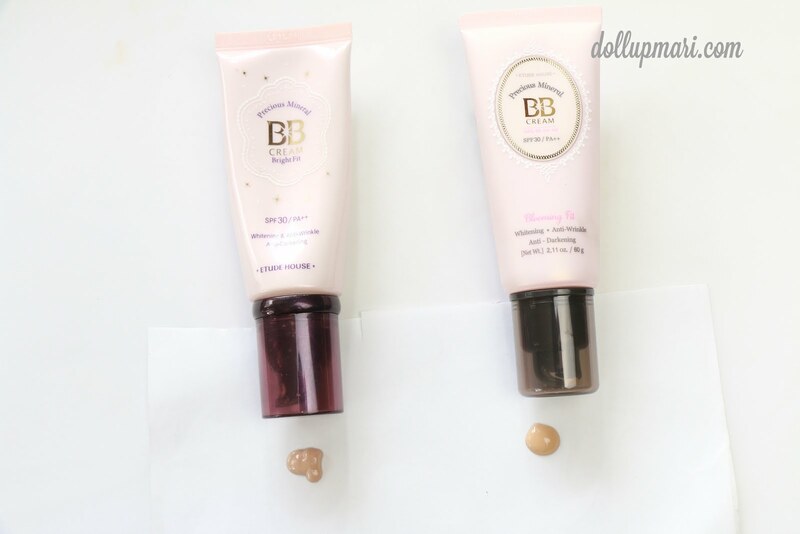 If you want something for everyday, with just a little coverage and a nice glow, you'd be better off with Blooming Fit. If you're going to a more formal event, or if you have a lot of sun spots and discolorations on your face, you'd be better off with Bright Fit.